Transfer to Entebbe airport for your 7:15am scheduled flight with Aerolink to Bwindi and check in at Mahogany Springs Lodge. Later go for a forest trail riding experience with Ride4 a woman project up to River Ivi and see lots of plants and wildlife of Bwindi. This will last about 3 hours and you can engage in other women empowering activities or return to the hotel to rest for the evening. A tasty breakfast will be served, get your lunch pack and head over to the park headquarters – a stone-throw away for briefing, allocation of Gorilla groups and later head into the forest for Gorilla trekking. 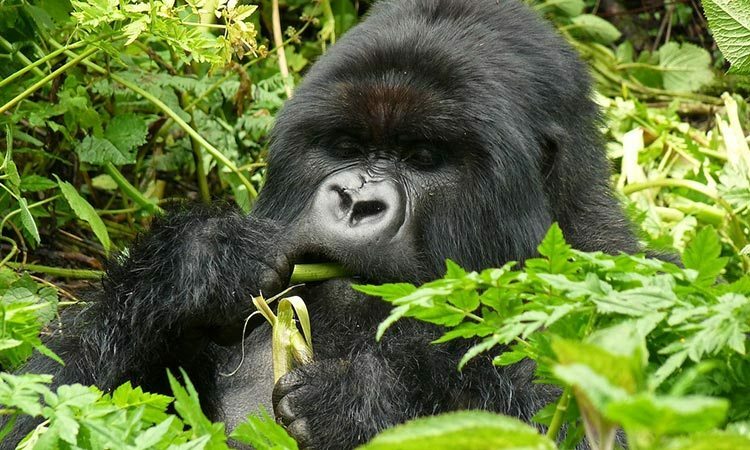 Trekking in Bwindi lasts between 2 to 8 hours depending on the movement of the Gorillas. On finding them, you will be allowed up to 1 hour maximum to watch them and take photos as they go about their daily business. 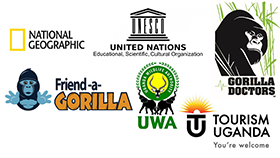 After the trek, you will enjoy your lunch and receive your Gorilla trekking certificate from the ranger guide. Make your way out of the forest, meet your guide and transfer back to the lodge where you will unwind as you flip through the photos. Wake up to a hearty breakfast in the misty and chilly Bwindi forest and your diver / guide will be ready to transfer you to Kihihi airstrip for your flight back to Entebbe airport and connect with your flight back home or your next destination.